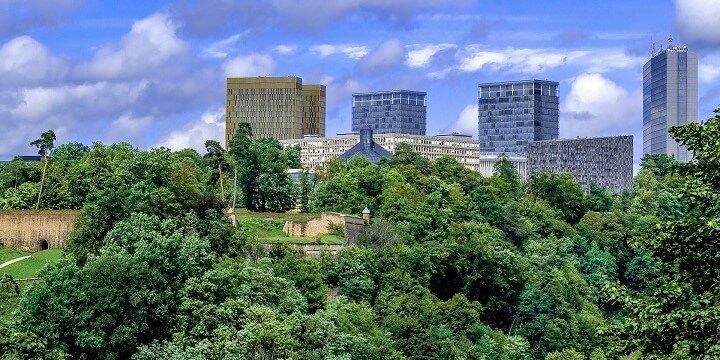 With a surface area of just over 2,500 square kilometers and a population of 600,000, Luxembourg is one of the smallest countries in Europe. What it lacks in size, however, it makes up for in fascinating landmarks and beautiful scenery. Most tourists choose to stay in the capital, and UNESCO world heritage site, Luxembourg City; however, there is plenty to see and do outside of the capital, and the country’s size makes for fun and easy day trips. 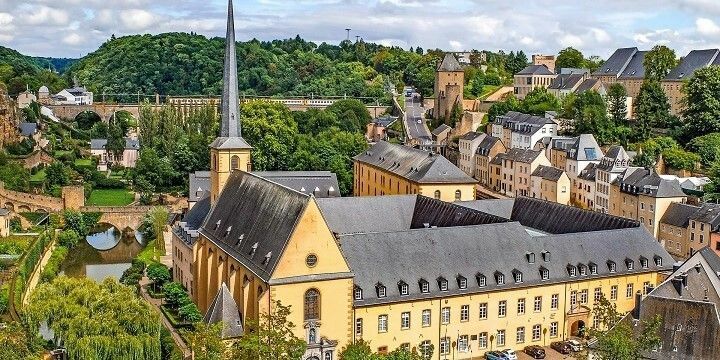 Luxembourg City is famous for its Old Town: as well as quaint shops and narrow streets, tourists take to the Walls of the Corniche, the old city walls which offer spectacular views over the capital. The Old Town’s most popular square, Place d’Armes, is a great spot for shops, restaurants, and nightlife, but really comes alive in November and December, when Christmas markets bring a magical feel to the city. Luxembourg City is famous for its Old Town. The capital is also home to more modern sights, including the Museum of Modern Art, which opened in 2006, and features a range of works, including sculptures, photography, and digital media. You could also check out the modern building that houses the European Court of Justice, which receives 10,000 visitors a year (most of whom are law students). Luxembourg City also has a very modern side. The best vineyards in Luxembourg are located along the Moselle River, which separates the country from Germany. With mild climates and rolling hills, this area is the perfect environment for the nine different types of grape grown in the region. Most people come to taste Luxembourg’s white wine; however, its sparkling and rosé wines are deservedly growing in popularity. You’ll find the picturesque town of Echternach — which sits on the banks of the River Sûre — just 30 minutes from Luxembourg City. Don’t miss out on the town’s 15th-century town hall, market square, and its main attraction, the impressive, seventh-century abbey. Echternach Lake is located just outside of the town. This manmade lake has a surface area of just under 0.5 square kilometers. Despite its size, however, there’s plenty to do on and around the lake, including pedal boating, cycling, and walking. The Müllerthal Trail is great for hikers. For more challenging hiking trails, take to the Müllerthal Trail. Two of its three routes (which, together, make up a 112-kilometer-long trail) meet in Echternach town. 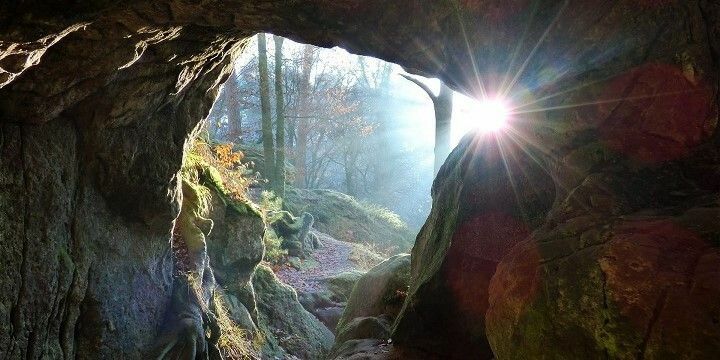 During your hike, you’ll see lots of natural beauty, including the Predigstuhl rock formation, peaceful streams, grand castles, and picturesque valleys. The beautiful town of Vianden is located just 50 kilometers from Luxembourg City, and is easily accessible by a one-hour train journey. Its main attraction is its castle: built between the eleventh and 14th centuries, this Romanesque-gothic building offers stunning views over the Vianden village. Vianden Castle is located just 50 kilometers outside of Luxembourg City. One of the best ways to reach the castle is by cable car, which will take you 440 meters above sea level for fantastic views over the Our Valley. 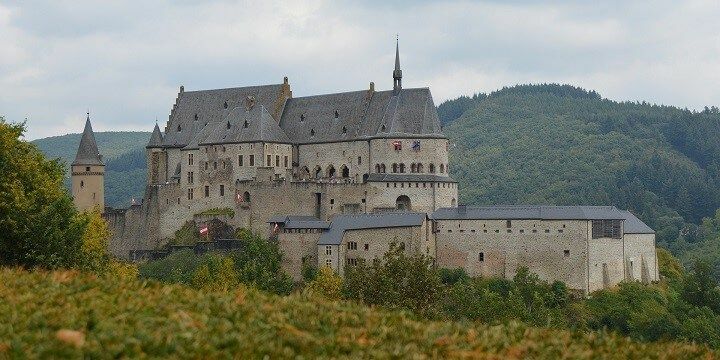 If you’re not a fan of heights, check out some of Vianden’s twelve hiking trails to see the region’s range of natural beauty. If NextStop24 helped you to choose your next travel destination, we'd be very grateful if you’d search for your accommodation and things to do in Luxembourg through these links. They're affiliate links, which means that we will receive a small commission for every booking made through them. There are no extra costs for you; you'll simply be helping to keep NextStop24 running. Thanks! Despite being a small country, Luxembourg has a lot to offer, particularly many outdoor activities.